An effective way to bring life to any wall in your business or home! Why have plain walls when you can have personalised walls that have a designer look and and feel! You could add branding, signage or any message you wish directly to your walls. It’s not just your walls either! Our vinyl wall art can be applied to any flat surface – mirrors – windows – fridge doors – laptops – anything flat! Do you have a design you want printing? Not a problem, we are not restricting you to single colour vinyls, you can print any design you like! 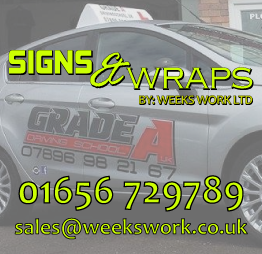 We offer single colour vinyls or a full colour versions! If you would like to add an extra something to your walls give us a call or contact us.